What lessons can all directors and instructors learn from prechoreographed programs? Millions of people around the world participate in prechoreographed group fitness programs. The popularity of these classes can’t be ignored, and the instructors must be doing something right. A debate is currently waging as to which instructors are better—those leading the prechoreographed programs or the die-hard “freestylers.” While prechoreographed content may garner differences of opinion, instructors and directors can definitely learn lessons from the formula these programs follow. For consumers, the initial appeal of prechoreographed programs is the confidence that no matter the time slot or instructor, if the title is the same, the workout will be the same. Instructors are encouraged to infuse their own personality, but the premise, equipment (or lack of), terminology, moves and participants’ expectations are consistent. Many freestyle group fitness programs are instructor-dependent, rendering consistency absent. Instructor-dependent schedules rely heavily on what and when instructors want to teach. Class titles and descriptions tend to suit individual instructors’ talents. A class’s content is generally based solely on the instructor’s desire for the day, and it would be nearly impossible to recreate, fill in or explain what happens in that class. This type of programming is easy in the short-term, but over the long haul it can create issues. For example, it is more difficult to replace instructors and find subs. In addition, and more importantly, since participants don’t know what to expect when they attend a class, it’s almost impossible to create the kind of confidence that leads to consistently high attendance. Choose class names that are truly representative of the formats being taught; then use these titles on the schedule more than once. For example, use the name “Loaded” for a strength training class that focuses on fewer repetitions and heavier weights. Place the class in 9:00 AM slots on Monday, Wednesday and Friday, and ensure that instructors are programming around the same concept. Communicate with instructors who teach identically titled formats (as well as those who sub), and create a design template. This does not mean you choreograph classes for instructors; however, by providing an overview of your expectations regarding class design, skill level and equipment usage, you help bridge the gap between staff and create consistency. At the very least, instructors should communicate with one another about class content or take one another’s classes to be sure that messages match when a class title is the same. For members, consistency is synonymous with confidence. Consistency can also elevate the way your entire staff is perceived. Do you remember teaching your first class? How hard did it seem at the time? Think of all the information you had to keep in your conscious mind because it still wasn’t “natural” to you. Now, after years of practice, you tell jokes, sing along with the music and engage participants, because you aren’t afraid of flubbing the movements, falling off the stage or forgetting where the beat is. You learned through repetition. Participants operate in the same way. Unfortunately, in many classes we are so busy changing the choreography that people rarely get a chance to go beyond thinking about the moves. Prechoreographed programs build on repetition in two main areas. First, the order of class is primarily predictable, which makes the “shell” familiar. Students are not concerned about whether you will remember to do the other leg or work a particular muscle group, because they know what is coming. Second, steps or movements might change, but some are always repeated, and they serve as a cornerstone for new material. Prechoreographed programs change big pieces of the puzzle to create profound, effective experiences. Cuing, feedback and motivational techniques are manipulated variables. Since participants become “unconsciously competent” with the class content, they are free to listen for carefully chosen cues. Those lead to better alignment and execution, which in turn produce superior results. Within a specific class format, decide on a monthlong focus (or feel free to choose a different length of time). For example, one month in “Loaded” you might use weighted bars and the step, choose exercises that begin with large muscle groups and progress to small muscle groups. Next month, you’d switch it up. A major component of prechoreographed programs is preparation. Since you are teaching someone else’s moves, you can’t wing it! Support materials such as written notes, DVDs and prepared music CDs (or downloads) help instructors master the choreography. Instructors must set aside time to watch, read, practice and then script how to deliver the content. Rehearsal is emphasized. If you give forethought to every facet of your class, your preparation lingers in your subconscious. The more you have to think about what’s coming next, whether the CD will work or how you’re going to say what needs to be said, the less time you have to focus on the most important aspect of class—participants. Set aside a specific time each week to think about your upcoming classes (Sunday nights are great; make an appointment with yourself). It’s not necessary to fully choreograph all classes for the week, but this will be your chance to get organized in case you need time to hunt down resources, find or make a new CD or practice a combination. Determine when you can accomplish key tasks prior to showtime, and be fully prepared. Jot down your focus and objective for each class. For example, In strength training this Tuesday we will focus on the upper body using dumbbells and tubing. The repetitions will be lower (15 or less), and the weights will be heavier. You can fill in specific exercises later, but now you have a shell that you can communicate to fellow instructors who may teach a similar format in a similar time slot. This can help them plan for crossover participants. Once you have committed your exact choreography to paper, dream up one or two new cues you might use for each sequence or combination. This will help you avoid repeating the same cues over and over, and participants will perk up their ears. When training prechoreographed program instructors, presenters emphasize execution and cuing. However, they spend an equal amount of time on how to create an experience. As stated in Lesson 1, consistency forms the foundation. From there, instructors are encouraged to find individual ways to create a great experience from before class starts to well after it’s over. Participants are impressed by more than your moves. They tend to be social creatures who come for the interaction, group camaraderie and fun. The more you can plan for this, the better the outcome will be. Consider yourself the host of a party. Everything you would do to ensure a great experience at a birthday bash should be taken into account, when possible. Yes, that means investing a little extra time before and after class (and no, you probably can’t get paid for this), but what you get in return is payment enough: a room full of smiling faces. Arrive early and make sure the room is set (if you teach back-to-back with another instructor, mingle outside and get to know your “party goers”). If you have time, set the music and lights, prepare your equipment and be ready to greet the “guests” the moment they walk through the door. Once your guests are set, introduce yourself, ask them to introduce themselves to one another, and create a social atmosphere free of judgment and intimidation. It’s your job to make everyone feel welcome. At the conclusion, position yourself by the door (not the stereo!) and give everyone a genuine thank-you. The “party favor” you leave with each participant is a warm smile, an invitation to return and the gift of feeling successful and welcome. Great instructors are not born; they are made through ongoing education and the mutual elevated expectations set by directors and instructors. Just as doctors are not turned loose on live bodies right after receiving their degrees, instructors should not be expected to teach a class after receiving a basic certification. They need time to practice in order to build confidence. With prechoreographed programs, this fundamental concept is built into the expectations set forth in trainings. When an instructor is finally “live” in a prechoreographed program, she has attended a lengthy in-club training (with evaluations before and after) and been required to practice on her own and to team-teach with others. The last lesson to take away is the most important, and it is a precursor to all others. For many instructors, group fitness is not a chosen career path but something they do on the side. However, we must keep in mind that education and training for group fitness instruction is a big job that needs much more attention than it is getting. Merely passing a test with no additional practice, education or guidance does not make an instructor fully ready to teach real people. A certification simply means the instructor has demonstrated the minimal level of competency required to lead a group fitness class. From there, the director and the instructor are responsible for true readiness. Create a solid screening and hiring process, followed by internship and in-service programs to develop instructors’ skills. Search for instructors who have successfully passed a certification accredited by an outside agency. Insist on auditions in a real class setting. After the screening and hiring process, educate instructors on how your facility runs. Include your expectations regarding various formats, the dos and don’ts of your studio and any items that will support the consistency of your program. Once you have trained an instructor, insist on hands-on, ongoing continuing education. Foster teamwork and a participant-focused mentality. Build your foundation with certifications from reputable organizations that set the professional bar high. Once you have obtained your certification(s), determine which formats are right for you, as well as what type of clientele suits you. Work with a director to develop a plan. Observe classes, shadow a veteran instructor, team-teach and then go solo after you’ve received quality feedback. Continue to hone your craft by always being a student. Seek advice and evaluation from your peers and constantly search for continuing education opportunities through reputable resources. There is something to be said for making the workout easy to follow by building in some type of repetition over time. This leaves the movements in the participants’ subconscious minds, freeing them to get more from the workout. Instructors often change choreography because they, not the participants, are bored. But people return to a class because they feel successful when they leave, not necessarily because of the great new exercise you did or because your choreography was brilliant and brand-new. The more moves participants master, the more successful they feel and the more likely they are to return. 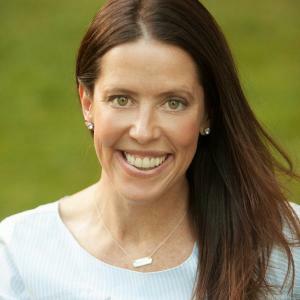 Shannon Fable, 2006 ACE Instructor of the Year, owns Sunshine Fitness Resources, a consulting service for fitness professionals, and is the group fitness director at Lakeshore Athletic Club outside of Boulder, Colorado. She can be reached at www.shannonfable.com.